Flying cars may soon be leaving the realm of science fiction and making their way into the near future. 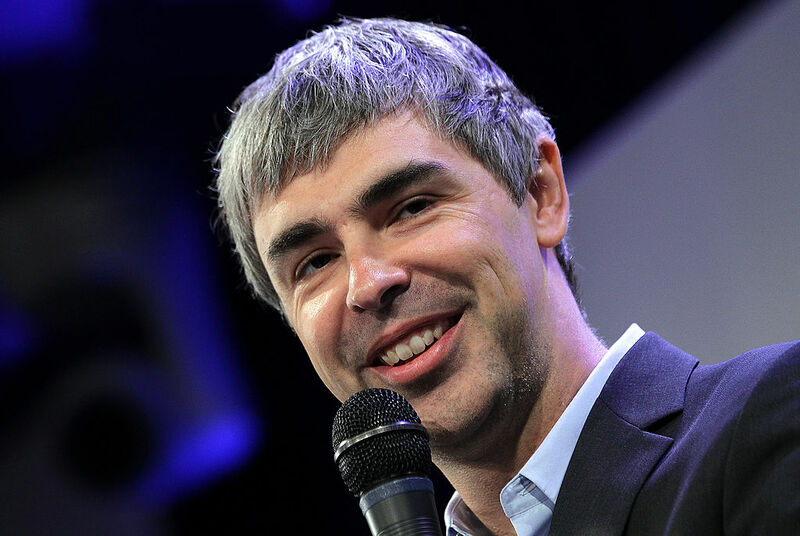 At least, that's what Google CEO Larry Page has been working on in secret these past few years. According to a new report out of Bloomberg, Larry Page anonymously launched a startup called Zee.Aero in 2010, which has since developed two electric prototypes of flying cars. This isn't just some side project for Page – it's been reported that he has invested over $100 million of his own money into Zee.Aero. And it appears that the Google executive, despite his attempt at anonymity, has been keeping a close eye on Zee.Aero's progress; the building that houses the startup is just around the corner from Google headquarters, in Mountain View, California. Zee.Aero's president, Sebastian Thrun, also has a Google connection; he was the founder of Google X, and was one of the people spearheading Google's self-driving car project. Although many still scoff at the notion of flying cars, Page and Zee.Aero is taking the idea incredibly seriously; the startup employs over 150 people, and utilizes a 30,000 square foot building. Zee.Aero also has a hangar that houses the two flying car prototypes it has developed so far. These prototypes aren't just for show – according to reports, they are operational. Workers at a nearby airport have caught glimpses of the prototypes, and have reported hearing a high pitched whine that the planes emit when they're being engaged in a test flight. However, it's been discovered that Zee.Aero is not the only flying car game in town. There's a similar startup that's also close to Google headquarters. This startup is called Kitty Hawk, and it's been revealed that it too is backed by Larry Page. However, this is not a collaboration in the conventional sense; Kitty Hawk and Zee.Aero have nothing to do with each other. Instead, it appears Page has set them up solely so that they compete with one another to see who can build the best prototype in the shortest period of time. Both startups have attracted some of the world's most brilliant minds. Luckily for Page, he's in a place where money, and access to talent, is no object in his quest to build a flying car. Bezos, Page, and Brin are all noticeably richer thanks to third quarter earnings reports from both Amazon and Alphabet that were significantly better than expected. For the first time ever, Mark Zuckerberg has surpassed Google rivals Larry Page and Sergey Brin in terms of overall net worth. But will it last?